LONDON (Bloomberg) -- General Motors Co.'s European division is reorganizing faster than planned as higher car prices help limit losses this year, according to Nick Reilly, the head of the unit. The division, which includes the Germany-based Opel brand and Vauxhall in the UK, will lose $1.9 billion in 2010, compared with a forecast loss of $3 billion at the beginning of the year, Reilly told reporters last night in London. He reiterated that the business has “a chance” of making money in 2011, excluding reorganization costs. 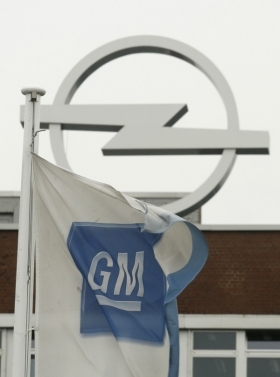 GM Europe is the only unprofitable division of General Motors following the Detroit-based carmaker's reorganization that included shuttering or selling four brands worldwide including Saab's sale to Dutch supercar maker Spyker Cars NV. GM is cutting 8,300 of its 48,000-person work force in Europe and closing a factory in Antwerp, Belgium, as it seeks to restore profitability at its European operations. "Europe is in good shape from a [product] portfolio, but needs to reduce costs and improve capacity utilization," GM CEO Dan Akerson said on a conference call with journalists on Thursday. Opel and Vauxhall have revamped their Astra compact and introduced the Insignia mid-sized sedan as they struggle to gain back market share after GM unsettled potential car buyers last year when it considered selling the automakers. The U.S. company pledged in February to invest 11 billion euros ($15 billion) in Opel and Vauxhall through 2014 to make them more competitive. GM returned to the stock market yesterday in an initial public offering exceeding $20 billion, 16 months after emerging from Chapter 11 U.S. bankruptcy protection. The IPO was the country's second-largest ever, after Visa Inc.'s $19.7 billion sale in March 2008. The biggest challenge for GM in Europe, especially in Germany, is improving the brands' reputation after the division sought government aid, Reilly said.